Learn the basics of Git with this space themed tutorial. You have access to all files in your local repository, whether you are working on one file or multiple files. You can view public repositories without a Bitbucket account if you have the URL for that repository. Each repository belongs to a user account or a team. In the case of a user account, that user owns the repository. + In the case of a team, that team owns it. The repository owner is the only person who can delete the repository. If the repository belongs to a team, an admin can delete the repository. A code project can consist of multiple repositories across multiple accounts but can also be a single repository from a single account. Each repository has a 2 GB size limit, but we recommend keeping your repository no larger than 1 GB. Initially, the repository you create in Bitbucket is going to be empty without any code in it. That's okay because you will start adding some files to it soon. This Bitbucket repository will be the central repository for your files, which means that others can access that repository if you give them permission. After creating a repository, you'll copy a version to your local system—that way you can update it from one repo, then transfer those changes to the other. Enter BitbucketStationLocations for the Name field. Bitbucket uses this Name in the URL of the repository. For example, if the user the_best has a repository called awesome_repo, the URL for that repository would be https://bitbucket.org/the_best/awesome_repo. For Access level, leave the This is a private repository box checked. A private repository is only visible to you and those you give access to. If this box is unchecked, everyone can see your repository. Pick Git for the Repository type. Keep in mind that you can't change the repository type after you click Create repository. Click Create repository. Bitbucket creates your repository and displays its Overview page. Click + from the global sidebar for common actions for a repository. Click items in the navigation sidebar to see what's behind each one, including Settings to update repository details and other settings. To view the shortcuts available to navigate these items, press the ? key on your keyboard. When you click the Commits option in the sidebar, you find that you have no commits because you have not created any content for your repository. Your repository is private and you have not invited anyone to the repository, so the only person who can create or edit the repository's content right now is you, the repository owner. Maintenant que vous disposez d'un espace pour ajouter et partager vos fichiers, vous devez le copier vers votre système local. Pour ce faire, copiez le dépôt Bitbucket vers votre système. Par « clonage », Git entend copier un dépôt. Lorsque vous clonez un dépôt, vous créez une connexion entre le serveur Bitbucket (que Git considère comme la source) et votre système local. You are about to use a whole bunch of Git and non-Git commands from a terminal. If you've never used the command line before, learn where to find it at The Command Line Crash Course. Navigate to your home (~) directory. As you use Bitbucket more, you will probably work in multiple repositories. For that reason, it's a good idea to create a directory to contain all those repositories. Create a directory to contain your repositories. From the terminal, update the directory you want to work in to your new repos directory. 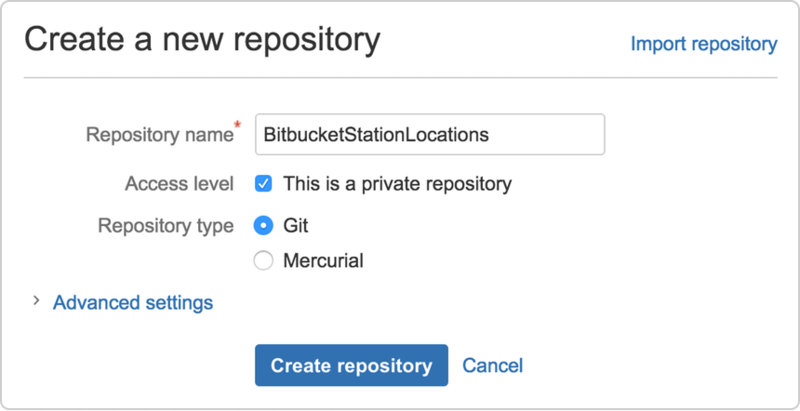 From Bitbucket, go to your BitbucketStationLocations repository. Click the + icon in the global sidebar and select Clone this repository. Bitbucket displays a pop-up clone dialog. By default, the clone dialog sets the protocol to HTTPS or SSH, depending on your settings. For the purposes of this tutorial, don't change your default protocol. Copy the highlighted clone command. From your terminal window, paste the command you copied from Bitbucket and press Return. Enter your Bitbucket password when the terminal asks for it. If you created an account by linking to Google, use your password for that account. In some versions of Microsoft Windows operating system and Git you might see an error similar to the one in the following example. Then go back to step 4 and repeat the clone process. The bash agent should now prompt you for your password. You should only have to do this once. You already knew that your repository was empty right? Remember that you have added no source files to it yet. List the contents of your repos directory and you should see your bitbucketstationlocations directory in it. With the repository on your local system, it's time to get to work. You want to start keeping track of all your space station locations. To do so, let's create a file about all your locations. Go to your terminal window and navigate to the top level of your local repository. Enter the following line into your terminal window to create a new file with content. If the command line doesn't return anything, it means you created the file correctly! Get the status of your local repository. 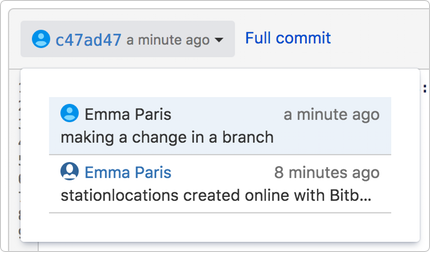 The git status command tells you about how your project is progressing in comparison to your Bitbucket repository. The file is untracked, meaning that Git sees a file not part of a previous commit. The status output also shows you the next step: adding the file. Tell Git to track your new locations.txt file using the git add command. Just like when you created a file, the git add command doesn't return anything when you enter it correctly. The git add command moves changes from the working directory to the Git staging area. The staging area is where you prepare a snapshot of a set of changes before committing them to the official history. Check the status of the file. Now you can see the new file has been added (staged) and you can commit it when you are ready. The git status command displays the state of the working directory and the staged snapshot. Issue the git commit command with a commit message, as shown on the next line. The -m indicates that a commit message follows. The git commit takes the staged snapshot and commits it to the project history. Combined with git add, this process defines the basic workflow for all Git users. Up until this point, everything you have done is on your local system and invisible to your Bitbucket repository until you push those changes. 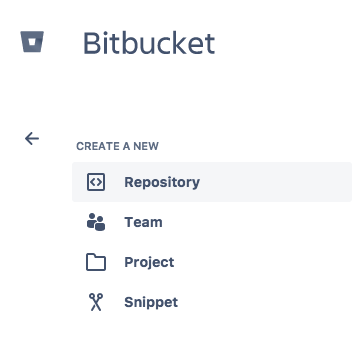 Git's ability to communicate with remote repositories (in your case, Bitbucket is the remote repository) is the foundation of every Git-based collaboration workflow. Git's collaboration model gives every developer their own copy of the repository, complete with its own local history and branch structure. Users typically need to share a series of commits rather than a single changeset. Instead of committing a changeset from a working copy to the central repository, Git lets you share entire branches between repositories. You manage connections with other repositories and publish local history by "pushing" branches to other repositories. You see what others have contributed by "pulling" branches into your local repository. Go back to your local terminal window and send your committed changes to Bitbucket using git push origin master. This command specifies that you are pushing to the master branch (the branch on Bitbucket) on origin (the Bitbucket server). Your commits are now on the remote repository (origin). Go to your BitbucketStationLocations repository on Bitbucket. If you click Commits in the sidebar, you'll see a single commit on your repository. Bitbucket combines all the things you just did into that commit and shows it to you. You can see that the Author column shows the value you used when you configured the Git global file ( ~/.gitconfig). If you click Source in the sidebar, you'll see that you have a single source file in your repository, the locations.txt file you just added. Remember how the repository looked when you first created it? It probably looks a bit different now. Next on your list of space station administrator activities, you need a file with more details about your locations. Since you don't have many locations at the moment, you are going to add them right from Bitbucket. From your BitbucketStationLocations repository, click Source to open the source directory. Notice you only have one file, locations.txt , in your directory. A. Branch selection: Pick the branch you want to view. B. Source page: Click the link to open this page. C. New file button: Edit and create a file in Bitbucket. From the Source page, click New file in the top right corner. This button only appears after you have added at least one file to the repository. A page for creating the new file opens, as shown in the following image. Enter stationlocations in the filename field. Click Commit. 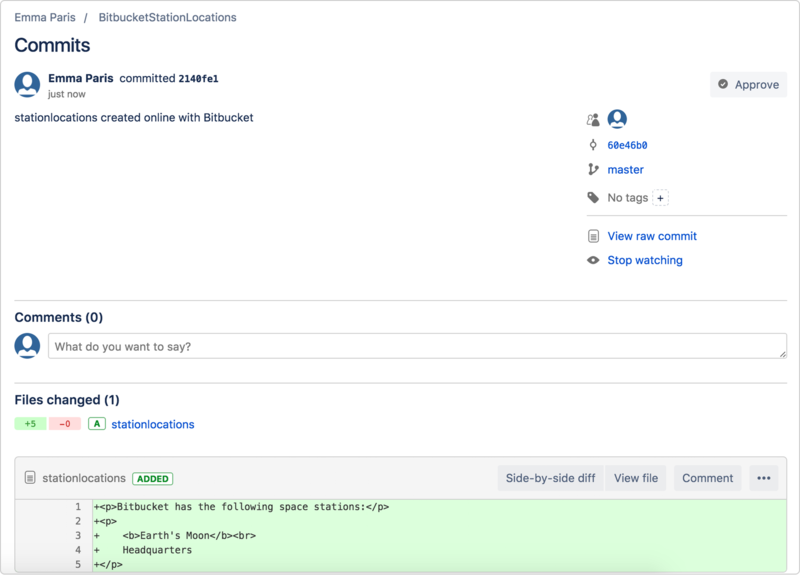 The Commit message field appears with the message: stationlocations created online with Bitbucket. Now we need to get that new file into your local repository. The process is pretty straight forward, basically just the reverse of the push you used to get the locations.txt file into Bitbucket. Open your terminal window and navigate to the top level of your local repository. The git pull command merges the file from your remote repository (Bitbucket) into your local repository with a single command. Fantastic! With the addition of the two files about your space station location, you have performed the basic Git workflow (clone, add, commit, push, and pull) between Bitbucket and your local system. Being a space station administrator comes with certain responsibilities. Sometimes you’ll need to keep information locked down, especially when mapping out new locations in the solar system. Learning branches will allow you to update your files and only share the information when you're ready. A branch represents an independent line of development for your repository. Think of it as a brand-new working directory, staging area, and project history. Before you create any new branches, you automatically start out with the main branch (called master ). For a visual example, this diagram shows the master branch and the other branch with a bug fix update. Create a branch from your terminal window. The repository history remains unchanged. All you get is a new pointer to the current branch. To begin working on the new branch, you have to check out the branch you want to use. Checkout the new branch you just created to start using it. Search for the bitbucketstationlocations folder on your local system and open it. You will notice there are no extra files or folders in the directory as a result of the new branch. Open the stationlocations file using a text editor. Notice the On branch future-plans line? If you entered git status previously, the line was on branch master because you only had the one master branch. Before you stage or commit a change, always check this line to make sure the branch where you want to add the change is checked out. Now it's time to merge the change that you just made back into the master branch. Your space station is growing, and it's time for the opening ceremony of your Mars location. Now that your future plans are becoming a reality, you can merge your future-plans branch into the main branch on your local system. Because you created only one branch and made one change, use the fast-forward branch method to merge. You can do a fast-forward merge because you have a linear path from the current branch tip to the target branch. Instead of “actually” merging the branches, all Git has to do to integrate the histories is move (i.e., “fast-forward”) the current branch tip up to the target branch tip. This effectively combines the histories, since all of the commits reachable from the target branch are now available through the current one. This branch workflow is common for short-lived topic branches with smaller changes and are not as common for longer-running features. Enter the git status command to be sure you have all your changes committed and find out what branch you have checked out. You've essentially moved the pointer for the master branch forward to the current head and your repository looks something like the fast forward merge above. Because you don't plan on using future-plans anymore, you can delete the branch. Deleted branch future-plans (was e3b7732). When you delete future-plans, you can still access the branch from master using a commit id. For example, if you want to undo the changes added from future-plans, use the commit id you just received to go back to that branch. Deleted the branch you are no longer using. Next, we need to push all this work back up to Bitbucket, your remote repository. You want to make it possible for everyone else to see the location of the new space station. To do so, you can push the current state of your local repository to Bitbucket. This diagram shows what happens when your local repository has changes that the central repository does not have and you push those changes to Bitbucket. Writing objects: 100% (3/3), 401 bytes | 0 bytes/s, done. Click Commits and you can see the commit you made on your local system. Notice that the change keeps the same commit id as it had on your local system. You can also see that the line to the left of the commits list has a straight-forward path and shows no branches. That’s because the future-plans branch never interacted with the remote repository, only the change we created and committed. Click Branches and notice that the page has no record of the branch either. Click Source, and then click the stationlocations file. You can see the last change to the file has the commit id you just pushed. Click the file history list to see the changes committed for this file, which will look similar to the following figure. Not sure you will be able to remember all the Git commands you just learned? No problem. Bookmark our basic Git commands page so that you can refer to it when needed.